No better place to grab a cup of coffee than in Seattle. Home to the original Starbucks and various local coffee shops, the espresso capital of the world is a must-see destination. Seattle has a city of distinct neighborhoods and urban districts; it thrives with industrial, commercial, and cultural activity around the clock. Whether you are flying your private jet to Seattle for business or pleasure, this city is a great destination for your West Coast vacation. Ready to fly your private jet to Seattle? Latitude 33 Aviation’s concierge team is on call and ready to accommodate your next flight! A thriving community, Seattle is home to many successful startups like Microsoft, Eddie Baur, Nintendo, Amazon, and REI. “The Emerald City” offers an endless list of activities to do during your visit. Start your trip to the iconic Space Needle. This striking landmark offers a magnificent view over the city. Enjoy a dinner at the rotating Space Needle Restaurant overlooking the gorgeous city lights. Seattle-Tacoma International Airport (SEA): Which is only 16 miles south of the heart of downtown Seattle. This airport is open to private, general, and corporate aviation services. King County International Airport (BFI): Also known as the Boeing Field. Located 5 miles south of downtown Seattle, and is commonly used for private, and general aviation. Tacoma Narrows Airport: Forty miles from Seattle, and four miles from Tacoma, WA. This airport is perfect for travelers looking to stay in Tacoma with a short drive to Seattle. READY TO TAKE A PRIVATE FLIGHT TO SEATTLE? Sit back, relax, and let Latitude 33 plan your next destination for you. 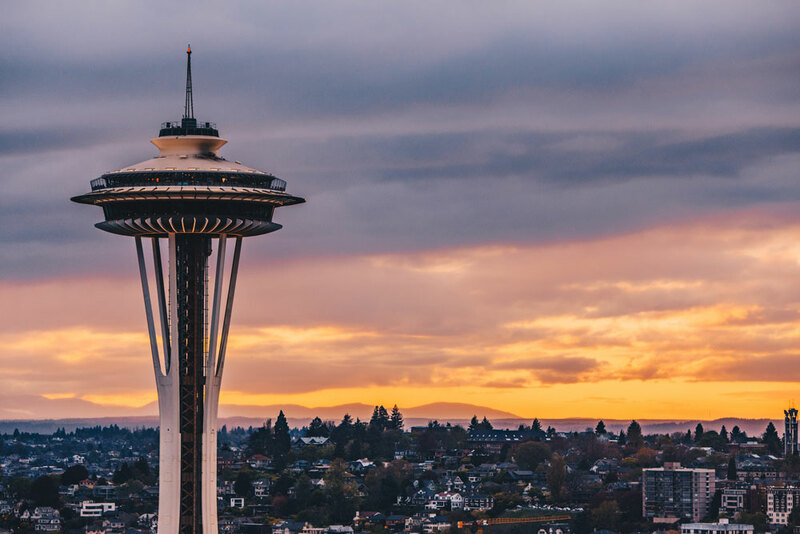 Passionate about providing unparalleled services and exceeding client expectation at every opportunity, we can assure your private flight to Seattle will meet your requirements for traveling in luxury. With some of the best-trained and most experienced professionals in the aviation industry, we are highly qualified to safely and professionally fly our clients anywhere in the world. Latitude 33 offers several services such as one-way flights, empty legs, and exclusive flights to various destinations, including Seattle. If you are interested in these luxury charter services, please contact our friendly consultants today, or check our one-way flights for last minute trips. We are ready to book your next visit to Seattle!